I’m considering rolling my retirement savings into a lifetime annuity because I like the idea of a guaranteed payment. But I also wonder whether I’d be better off just putting some of my savings into a low-risk account for living expenses and then investing the rest in a diversified portfolio of stocks and bonds. What do you think? You’re talking about this decision as if it’s an either-or thing. But it’s not. You have a third option—namely, devote a portion of your savings to an immediate annuity that can provide income you can’t outlive, and invest the rest in a diversified portfolio of stock and bond funds, plus a cash reserve. You can set up such a system any number of ways, but here’s a simple example of how one might work. That would leave you with $750,000 in savings. You would use some of that to fund your cash reserve, which you would want to invest in totally secure cash equivalents—say, an FDIC-insured savings or money-market account. Remember, you won’t be relying on this fund to pay all of your expenses. You’ll have money coming in from your annuity and Social Security to cover, if not most, then likely a good chunk of your ongoing living costs. So you want to keep enough in your reserve account to handle, say, one to two years’ worth of living expenses beyond what your guaranteed income sources will cover, plus some additional funds for unanticipated expenses or the occasional splurge. Clearly, the amount you devote to this account will depend on the specifics of your situation. But for the sake of this example, let’s say you set aside $50,000 in your cash reserve. With $250,000 invested in the annuity and $50,000 in your cash reserve, you would then have $700,000 remaining to invest in a diversified portfolio of stocks and bonds. Many retirees like to keep roughly 40% to 60% of their portfolio invested in stocks and the rest in bonds and cash. But you can a sense of what percentages are appropriate for you by going to Vanguard’s risk tolerance-asset allocation tool. This stash of stocks and bonds serves several purposes. One is to act as a “feeder fund” of sorts for your cash reserve—that is, as you spend down your cash reserve to cover current expenses, you would periodically replenish it with draws from your portfolio. You could also funnel any regular income your portfolio generates—dividends, capital gains distributions from your funds—into your reserve. Your portfolio can also provide long-term capital growth. Your annuity payments are fixed, so they will slowly lose purchasing power to inflation. But a portfolio that’s invested in a combination of stocks and bonds should outpace inflation over the long run, allowing you to offset the impact of rising prices on your annuity payments by gradually boosting the amount you withdraw from your portfolio of stocks and bonds. Finally, your portfolio can give you more financial flexibility throughout retirement. The savings you’ve invested in the immediate annuity is no longer available to you; you’ve effectively given up access to it in return for guaranteed lifetime payments (which is why you want to be careful not to devote too much of your savings to such an annuity). But if some big unexpected expenditure pops up (say, a large medical expense) or your overall living costs turn out to be higher than you anticipated, you’ll be able to tap your stock-and-bond portfolio to get the funds you need. That said, you want to be careful not to draw so much that you deplete it prematurely. You can see how long your portfolio might last at different rates of withdrawal by going to this retirement income calculator. I’ve sketched out only a very basic framework of the role an annuity might play in turning savings into income. The figures are also hypothetical. You might devote more, or less, of your retirement savings to an annuity depending on how much guaranteed income you need. 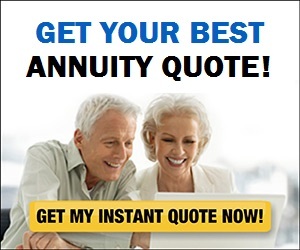 For that matter, you might not even require annuity income. After all, you’ll already have a retirement annuity—i.e., Social Security. If the monthly income you receive from Social Security and any pensions is enough to cover all or most of your basic living expenses (which you can tote up using BlackRock’s Retirement Expense Worksheet), you may not need to buy an annuity. The same may be true if your nest egg is large enough that your chances of running through it in your lifetime are very low. One more thing: Annuities aren’t the easiest investments to comprehend. 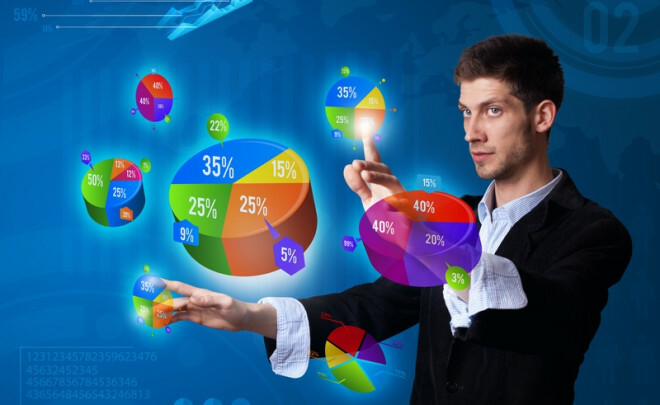 So if you do decide to embark on a strategy like the one I’ve outlined above, I suggest you first learn more about how annuities work and how to get the right combination of security and a competitive rate. And most important, be sure you’re evaluating a variety of options for creating retirement income, not just one or two (10/9/17).